Do you want to try Linux based OS on your laptop ? That’s really a good idea! (welcome to the open world of open source :)) but if you aren’t sure what distribution is right for you (it is obvious because you got a lot of options – a number of distros), then this post will guide you in selecting the best Linux distro for your laptop. The most important factor in choosing a right Linux distribution is your primary task, because there is almost a dedicated distribution available for all type of tasks eg. video/audio/music/graphics production work, office work, common purpose such as surfing internet, Email, etc. Your experience/interest is the second most important factor, you should consider while choosing a Linux distribution for your laptop computer. 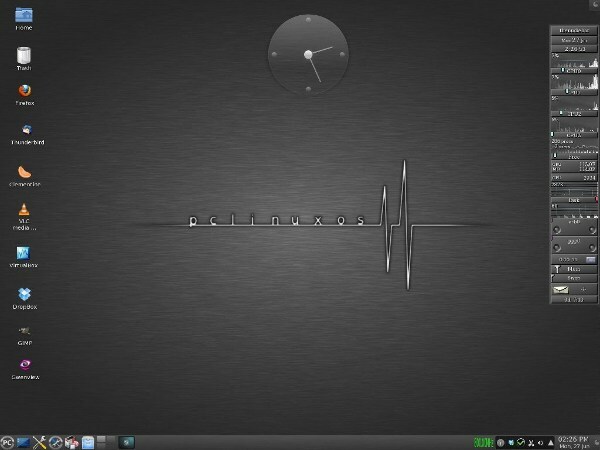 PCLinuxOS is a simple and easy to use GNU/Linux distribution suitable for all types users. It is little bit like rolling release distribution (it doesn’t uses version mechanism instead of that the updates are pushed as soon as it’s available, which means that in one simple command you distro will have all the latest stuffs), initially derived from Mandriva Linux (2007). 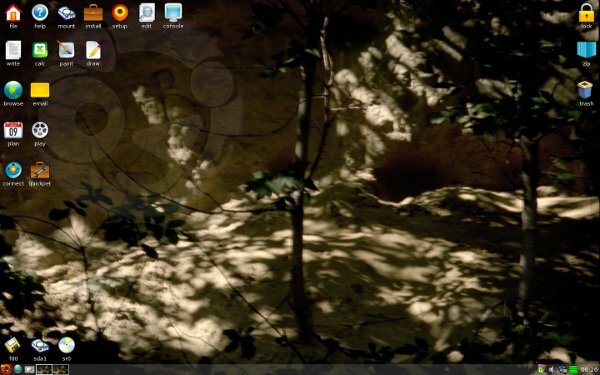 it uses KDE Plasma as default desktop (user interface/window manager), although XFCE, LXDE or Openbox editions are also available. So it is one of the best option for your laptop. Puppy Linux is the best option if your laptop is old because PuppyLinux is a very lightweight Linux distro and it’s very efficient at resource consumption, and of course it’s one of the fastest OS available. You can even use it without installing it on your hard-drive (as it can loaded into RAM due to its small size), right from a bootable media such as Pendrive or CD. It comes along with all necessary basic applications such as Abiword (Document Processing application like Open Office or MS Office), Mplayer. Due to its versatile nature and flexibility it is one of the most popular Linux distributions. Linux Mint is another great option for newbies. Linux Mint (12 is the latest version) has been forked from Ubuntu but aims to make it more beginner friendly by including proprietary stuffs (Adobe Flash player, media codecs to play files e.g mp3). if you have any experience in Debian based distro such as Ubuntu, then you won’t feel much difference except one major change – Gnome 3/Shell, although Gnome 2 style user interface is also available but it’s worth trying if you have a decent configuration (otherwise you will be switched to fallback mode). 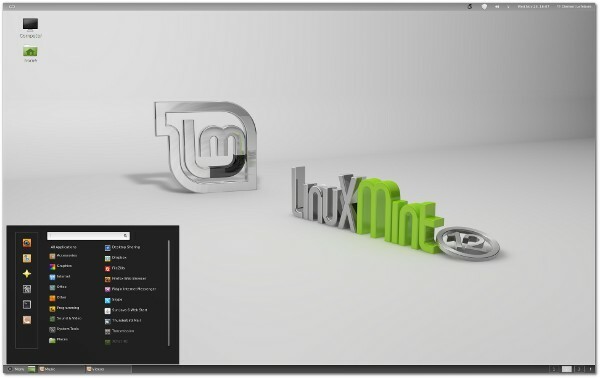 Want to try Linux Mint 12 (latest version, released a month ago) ? Before trying out, look at the Linux Mint screenshot Toor/Review (I’ve already covered earlier). Besides that I’ve also covered some more tips and tricks about Linux Mint, so come here frequently for more cool stuffs on Linux Mint (although most of the Ubuntu related posts will also work with Mint). Ubuntu : Most popular Linux distribution, for all purpose! Fedora : Rock Solid Linux distro, well suitable for experienced/advanced users! Ubuntu (Latest Stable Version : Ubuntu 11.04 (Maverick Meerkat), upcoming version – 11.10 (Natty Narwhal) – set to release on Oct 13, 2011) is now dominating the market share of Linux desktop (or would dominate the total desktop share in few upcoming years). So the numbers of laptop users running Ubuntu (or other flavors of GNU/Linux) has also increased but it’s still not in the resonance with the growth of Ubuntu, probably due to hardware compatibility problems. Therefore in this post some of the best laptops are described – which is known for good compatibility with Ubuntu, although any (laptop) model, from a recognizable brand such as Dell, ThinkPad, ASUS, Acer, HP, Lenovo etc, released in past few years, are capable of running Ubuntu smoothly. Anyway – if you’re willing to run Ubuntu on a new laptop – then better choose any of these. What is the best laptop for using/running Ubuntu ? Dell XPS 15 series Laptops are well suitable for Running Ubuntu 11.10 or other versions (if you want to enjoy 3d effects in ubuntu then better choose one with dedicated graphics memory, in later versions of Ubuntu – Gnome 3 and Unity both needs better graphics performance otherwise you will be running in fallback mode). Ubuntu works smoothly without any problems and so you’re good to go with any Dell XPS 15 series laptop. Therefore if you’re going to purchase a laptop for running Ubuntu (version 10.04 LTS/11.04/11.10 ..) then you are recommended to choose any of these to ensure better compatibility, Although it’s a different fact that most of the dell laptop(new version) works well with Ubuntu. 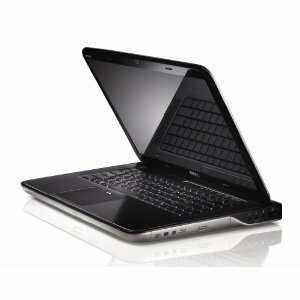 Here is a laptop from this series – with latest processor (Intel Core i7) and overall configuration is pretty good! so it would be suitable for most of the needs. Or Check out the newer model of that Laptop here. Update! Dell XPS 13 Developer Edition may be a better choice for you. Check out this one. 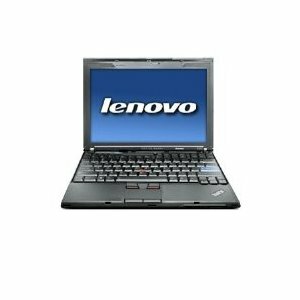 Lenovo has always been a good laptop brand for Ubuntu – because most of the Linux based distributions works great on Lenovo without much hassle. Lenovo x201 series laptops are also good for running Ubuntu. Update! Also check out ThinkPad X230. How is your experience with Laptop, running Ubuntu or any Linux distribution ? Consider sharing it (comment below). Update – You should also check out System 76 Laptops built specifically for running Ubuntu. Also check out this discussion thread on Hacker News.